Crayon Pop has finally unveiled the music video to their latest song, "FM." On March 27, Crayon Pop revealed the song and music video for "FM" through various music sites and official YouTube channel. Anticipation for the music video has been running high as the girl group was known for their unique, and quirky concept. 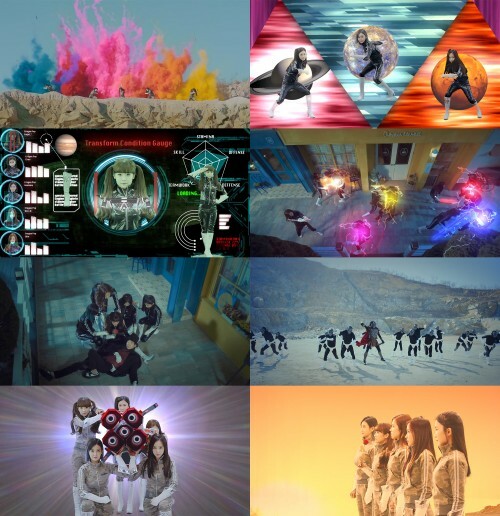 In the music video, the Crayon Pop members are transformed into charismatic female warriors beating up villains. Netizens who watched the music video commented, "They look like Power Rangers", "It's hilarious", "It's an addictive MV", and more.